"Shar Pei Address Labels" product is already in your cart. Put a smile on your face with these winsome wrinkly Shar Pei Address labels. This breed traces its origins to the southern provinces of China. Used in herding and guarding the home and family, they also proved themselves as capable wild game hunters. 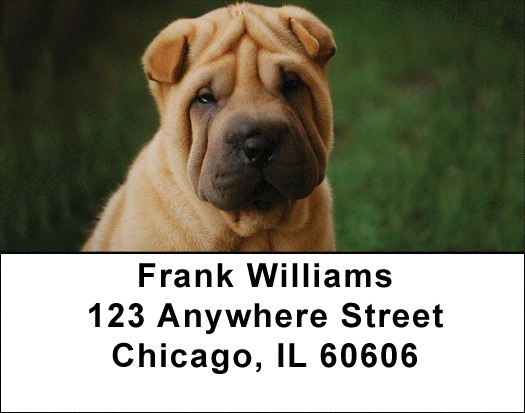 Shar Pei Address labels are self adhesive and matching checks are also available.